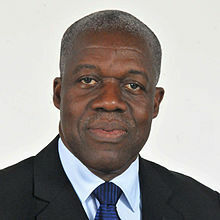 Ghana Premier League giants Accra Hearts of Oak have condoled with the family of former Ghana’s Vice President, His Excellency Paa Kwesi Amissah Arthur following his untimely demise this morning. The club’s condolence message is in a statement signed by Spokeserson Kwame Opare Addo. “The Management of Accra Hearts of Oak Sporting Club Limited on behalf of the Phobia family, expresses its condolence to the bereaved family of former Ghana’s Vice President, His Excellency Paa Kwesi Amissah Arthur, following his sudden demise this morning. We are deeply saddened to learn of the passing of this great Phobian and shareholder, but trust in the good Lord to grant him a perfecting resting place as he departs to eternal glory. We share the pain of his colleagues, his family, and the entire nation. Our condolences go especially to his wife and children, who undoubtedly would be most affected. Amissah Arthur served mother Ghana diligently in many diverse ways, was a true Phobian and impacted positively on many lives.